The first time iOS received multitasking was back in 2010 when Apple introduced the iPhone 4 – that’s two iOS versions ago. Ever since it was released, iOS users can say that Apple has not added any major improvements to the multitask system in iOS, even in the iPhone 5 multitasking is almost the same as the iPhone 4 with iOS 4. Back in early October member of The Verge’s forums posted some concept images of how the iOS app switcher should be and look. The redesigned iOS multitask posted in the forum showed a new app switcher with more functionality and features. It included the option to replace the volume slider in the app switcher to adjust brightness. It also included some toggles to enable and disable functions found in the Settings.app. So many people liked the improvements and ideas of the concept of the multitasking system designed by @Sentry_NC, that the interface designer decided to bring it to the iPhone as a jailbreak tweak (not through App Store). Sentry_NC stated that the tweak is almost complete and will be released on Cydia for the iPhone 4 and iPad as well. 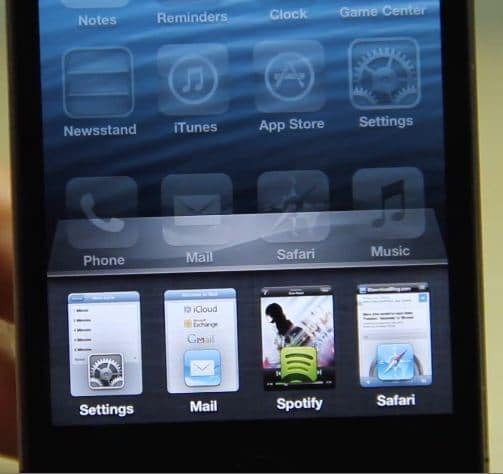 He also stated that it will be compatible with the iPhone 5 as soon as it get jailbroken. Jeff from iDownloadBlog has reviewed the final version of this tweak and says that this is how Apple should redesign the multitask system in iOS 7.